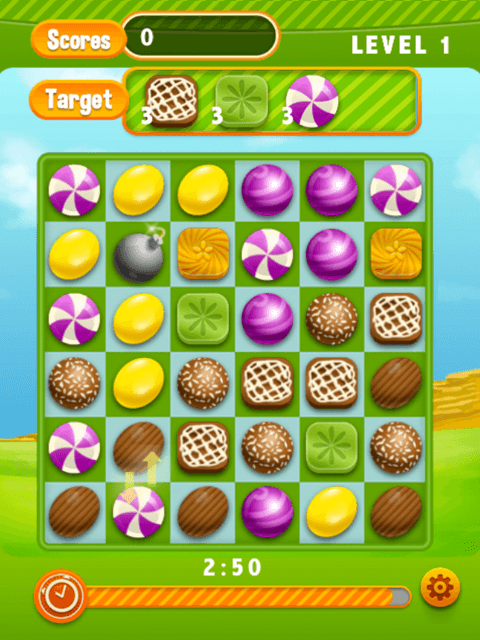 Sweet Candy Land takes swiping games in a new direction. This isn’t just a simple puzzle where you just swipe until you’ve reached a certain number of points or see how many combinations you can make in an amount of time. 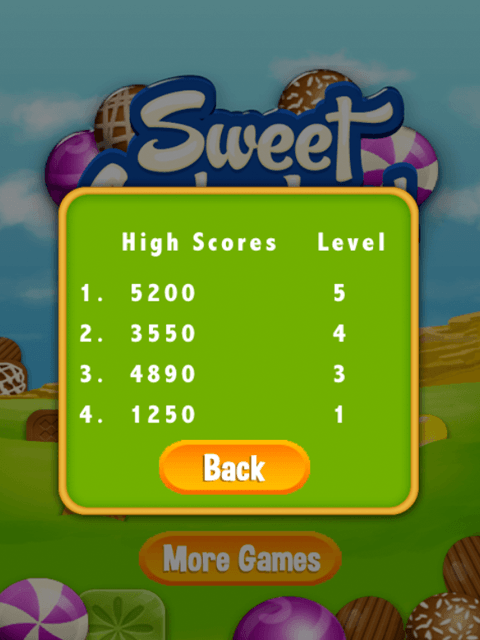 In this game comes with swiping goals where you have to get some of a particular type of candy off the screen before the time runs. 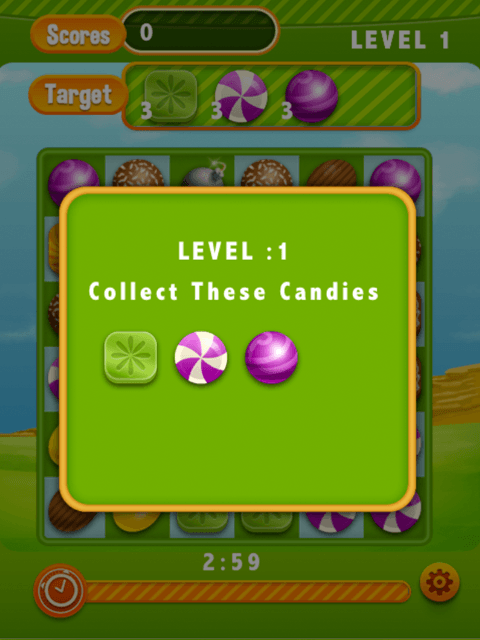 Also included in this are bombs and other special types of candies that add another layer of depth to the game. 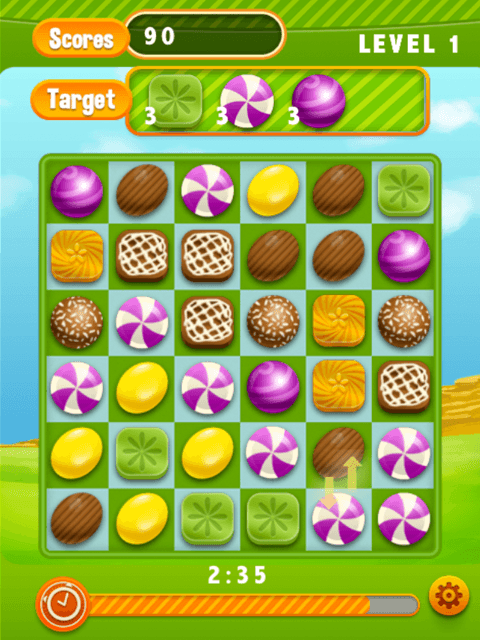 For lots of levels and a different puzzle experience, you can’t go wrong with Sweet Candy Land.